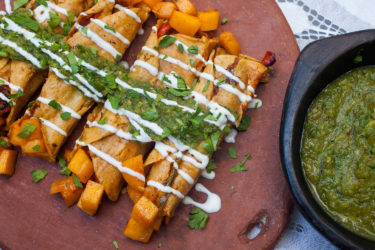 Mulitas aren't quite tacos or quesadillas, but lie somewhere in between. Try making them at home with this easy recipe. One of my fondest food memories when I return home to L.A. is visiting my favorite restaurant, La Taquiza, near Downtown. 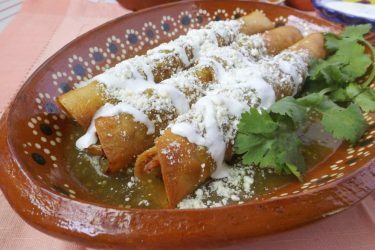 Among all their authentic Mexican foods, my favorite has always been mulitas. 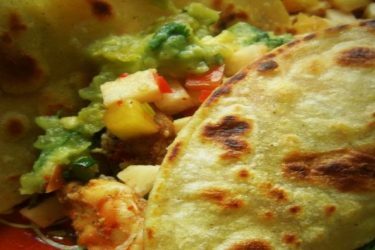 This dish is made up of two thick, homemade corn tortillas stuffed with your choice of savory fillings, fresh guacamole and melted cheese! Mulita in English means “little donkey,” and the only reason I could imagine for that name is because they are stuffed, like a donkey’s saddle bags. I'm sure burritos, or "little donkeys" have a similar origin! It's become a tradition for my oldest sister Cristela and I to spend the morning shopping in Downtown. No matter how tired we are, we always look forward to lunch at La Taquiza and the carne asada mulita with rice and beans. This recipe was my attempt to recreate those special times with the person (and the food!) that I love so much. In a medium bowl, combine the masa harina, salt, cumin, garlic powder and jalapeño flakes, if using. Gradually add in the warm water and use your hands to form the dough. Drizzle in the oil and work it into the masa. If masa is crumbly, add a little more water. Divide the masa into 8 equal dough balls. Cover with plastic wrap and let rest for 30 minutes. When ready, preheat a comal or heavy griddle pan to medium heat for about 5 to 7 minutes. 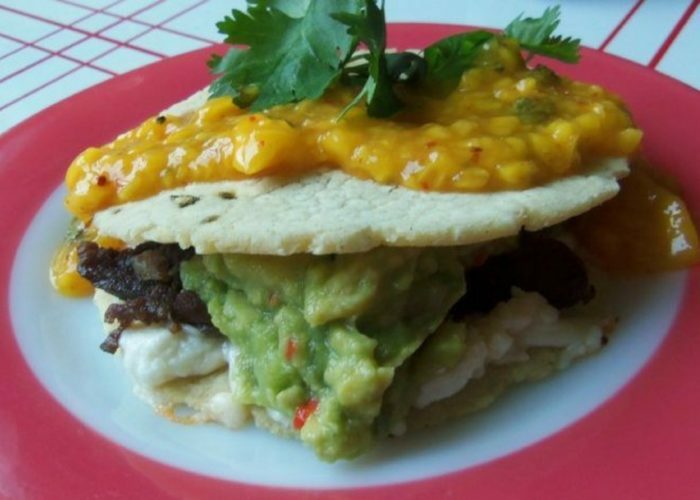 Using a tortilla press lined with a plastic storage bag to fit, press each masa ball and transfer to the hot griddle. Cook for a minute, or until tortilla releases and is easy to turn. In a small bowl, combine the two cheeses. Fill 4 tortillas with about 1/4 cup of cheese mixture, 4 or 5 slices of steak, then top with 1/4 cup guacamole. Top with another tortilla and cook just until the cheese is nice and melted. Serve right away.